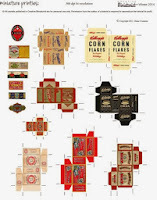 Creative Miniaturist: Welcome to Creative Miniaturist! Because my day job is in magazine publishing as a production manager and graphic artist, it only seemed natural that I would eventually take advantage of the internet trend of publishing an online e-zine. There can never be too many dollhouse miniature magazines, am I right? 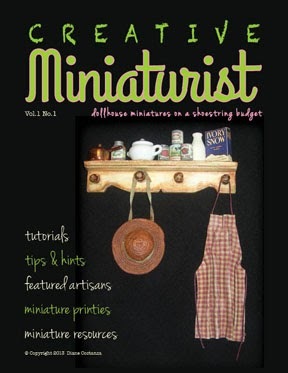 So I have begun to create a new miniature e-zine, Creative Miniaturist, which will feature articles and tutorials dedicated to freely sharing knowledge for creating fabulous dollhouse miniatures on a shoestring budget. I would love to find other creative, like-minded miniaturists interested in sharing some of their unique miniature skills. This is a free, online magazine created simply for the love of the hobby. There is so much out there that we are obligated to spend our hard-earned money on, why not create something fun at no cost? This is also a great opportunity for anyone that would like some free advertising. Could you use more exposure for your miniature shop, blog or website? 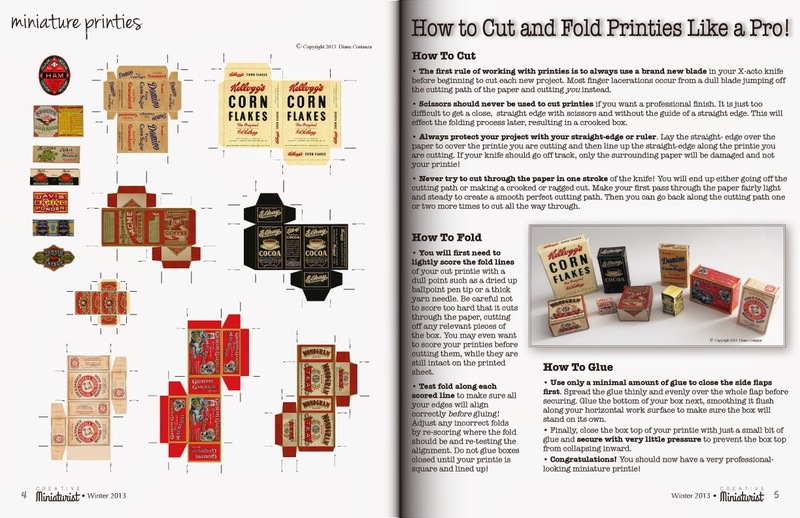 Let me know and I will send you the media kit that will explain all you need to know to create an ad or have one created for you to run in the first issue of Creative Miniaturist. If you, or anyone you know, would like to contribute to the first issue of Creative Miniaturist, whether it be your own miniature creations, an informative article or someone you know within the miniature world that deserves a shout out, just email me at diane@dianecostanza.com and we’ll chat! and ask me how you can become involved! Free Advertising Offer in New Mini e-Zine!